Orchestral music doesn't have to be classical, and symphony concerts don't have to be on stage in an auditorium. “What we’ve learned really is that we’ve got to be different,” said Michelle Mullaly, president of the Canton Symphony Orchestra. In addition to performing classical music, the Canton Symphony finds success with popular music. Founded in 1937, the longtime organization’s focus is sharing orchestral music with the community and creating opportunities for musicians in the symphony, Mulally said. The "Divergent Sounds" series does both. Once a month, a few symphony musicians pair with local bands to play their music, whatever the genre. “Whenever they hear their music for the first time with other instruments added, there’s just this amazing look of joy on their face,” Mullaly said. The series launched last May with a collaboration with hip-hop artist A-Minus. Other concerts have featured country, folk and Latin funk. 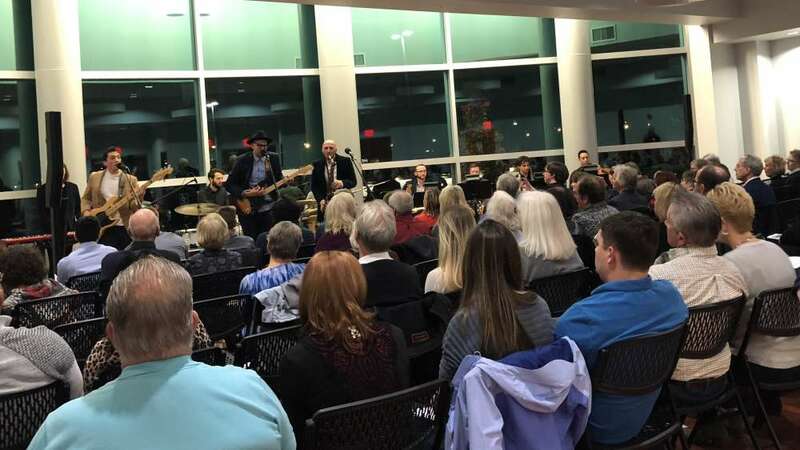 The January installment spotlights the rock group Ohio Weather Band, of Alliance, with symphony musicians, Thursday at 7:30 p.m. at the Zimmerman Symphony Center in Canton. The concerts are set up to be small, intimate gatherings in an all-purpose space at the center. Each one averages 100-125 people in attendance and the concerts are making money, Mullaly said. As an outgrowth of this series, the plan is to offer larger concerts with the entire orchestra performing with Akron singer-songwriter Angie Haze and other bands featured through “Divergent Sounds.” The Canton Symphony has performed in similar arrangements with local bands, including the Kent-based group the Speedbumps. “What people want to see is something they can’t get anywhere else,” Mullaly said.